The benefits of telemedicine are endless – find out why! Though telemedicine has been around in some form or fashion for the past 40 years, most patients are still seeing their doctors and specialists in the traditional, face-to-face office visit. Telemedicine uses modern technology like email, video chats, smart phones and more to communicate between doctor and patient. Patient consultations can now take place by using pictures, emails, remote monitoring of vitals, nursing call centers, and other benefits of new technology. Telemedicine can be used in primary care and specialist referrals. Remote patient monitoring can be done to supplement existing nursing care. And doctors can even continue their medical education through educational seminars via technology. There are so many benefits of telemedicine, it’s hard to count them all. But we have highlighted a few of the more significant ones. 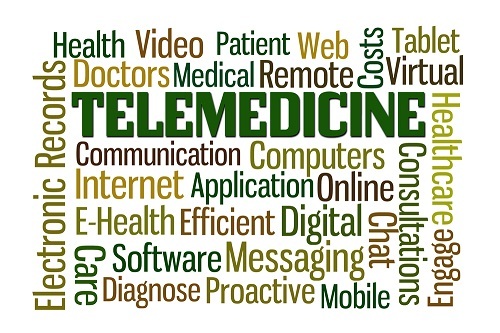 There are many benefits of telemedicine, whether being used out of necessity or progressively. Improved access is one major benefit of telemedicine. Patients and physicians can connect over long distances, even from countries far away. In rural areas this is especially helpful, as the patient to doctor ratio is higher than in more urban areas. Telemedicine is also cost efficient in many ways. The cost of healthcare has only skyrocketed and many patients can’t afford quality medical care. Telemedicine is a more efficient and less expensive method to provide much needed care to patients whether the issue is travel or chronic disease. Some may be skeptical that telemedicine can’t possibly offer better quality results than traditional office visits, but studies have shown that it can improve medical treatment quality. Mental health and ICU care in particular have shown to be greatly benefitted by the advancement of telemedicine with amazing outcomes and high patient satisfaction. Due to these results, another hidden benefit of telemedicine is that it’s in demand! Patients want to use telemedicine technologies to better their health, their family, and their communities. Those that can’t travel, those that live in remote areas, or those who are chronically ill all benefit immensely from telemedicine. It doesn’t take much imagination to see how integrated telemedicine will become as we move into the future of healthcare. Patients can have more convenient appointments, spend less time in the waiting room, be able to afford quality healthcare for less, and seek second opinions in a more timely manner. Doctors can extend their patient reach to treat those in different cities or even countries – this is especially beneficial for specialists. They can also save time on traveling to and from hospitals and medical offices. In general, telemedicine benefits the entire healthcare system. To learn more about telemedicine and how to incorporate it into your wellness program, contact Wellworks for more details. The benefits of telemedicine are endless – discover more today!